Is the collapse of all conventional traffic systems near? Marina talks to her mother, Elisa, about Elisa's mother's rather numerous family and times gone by. Ben and Marina discuss the subject of domestic violence in Spain and beyond. NIS Adv 066 - Las Tres "Erres"
Share: NIS Adv 066 - Las Tres "Erres"
Marina talks about an explosive New Years Eve that nearly ended in a riot! Do you have any regrets in life? See Notes in Spanish.com for full details and to comment. Ben and Marina discuss this weeks fashion show in Madrid. See notesinspanish.com for full details of this podcast. Ben and Marina talk about the Gipsy population in Spain, the social problems they both face and create, and their contribution to Spanish culture. See notesinspanish.com for more details. 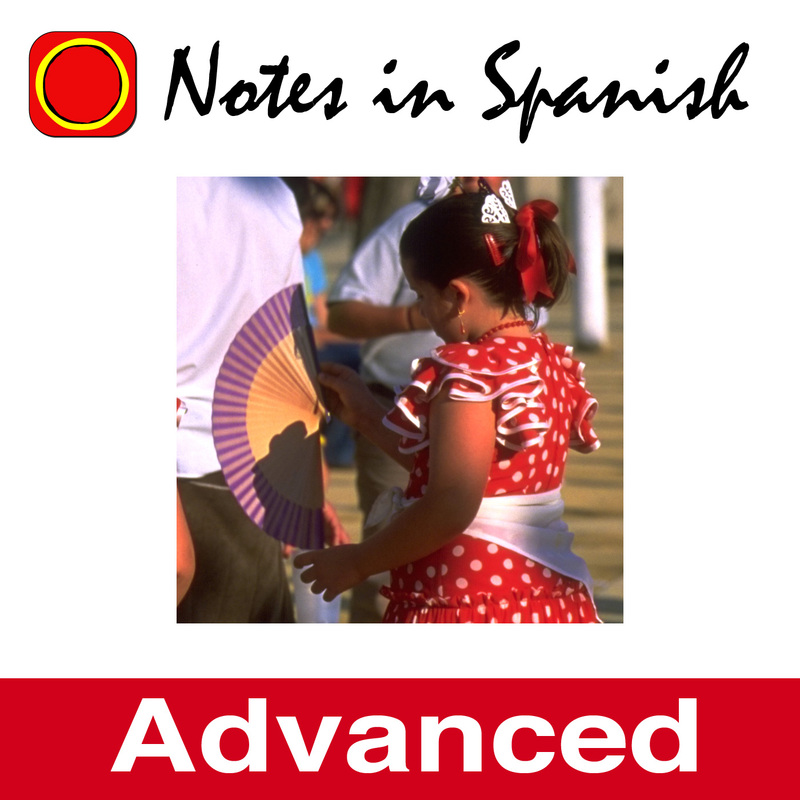 Share: Notes in Spanish Intermediate 1 - Bienvenidos! Ben and Marina discuss the increasing problem of house burglaries in Spain, and the sometimes exaggerated measures being taken to prevent them. See notesfromspain.com for full details and to download the accompanying transcript and worksheet. Ben and Marina discuss the topic of dialects and language in Spain. Flying home, and chatting about holidaying with kids in Spain.